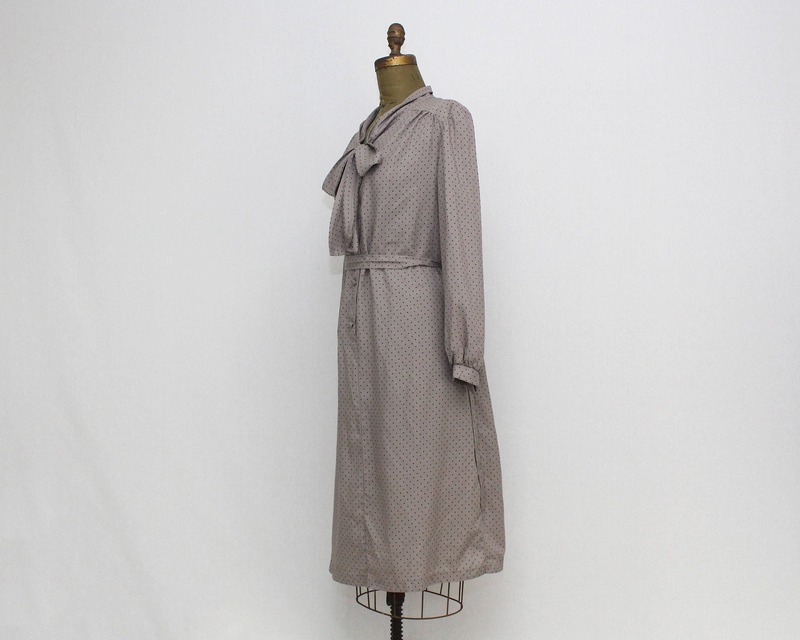 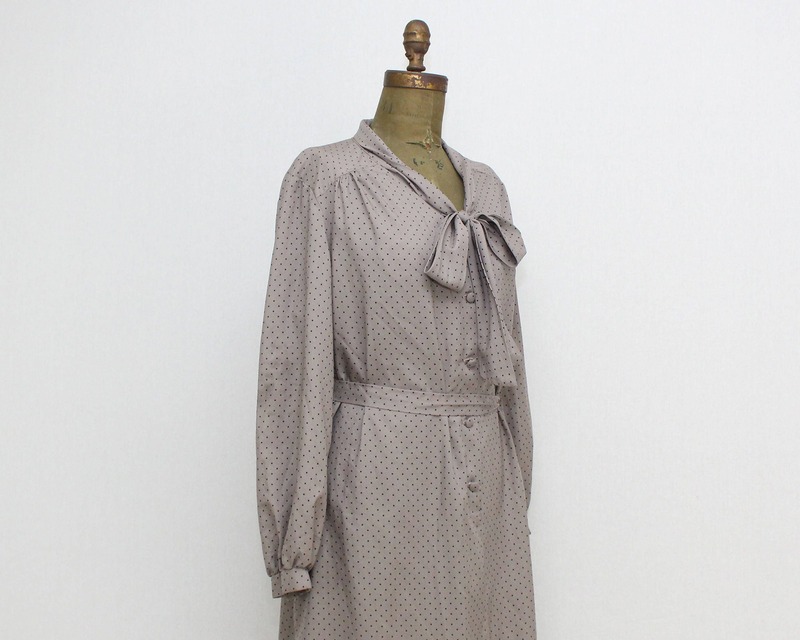 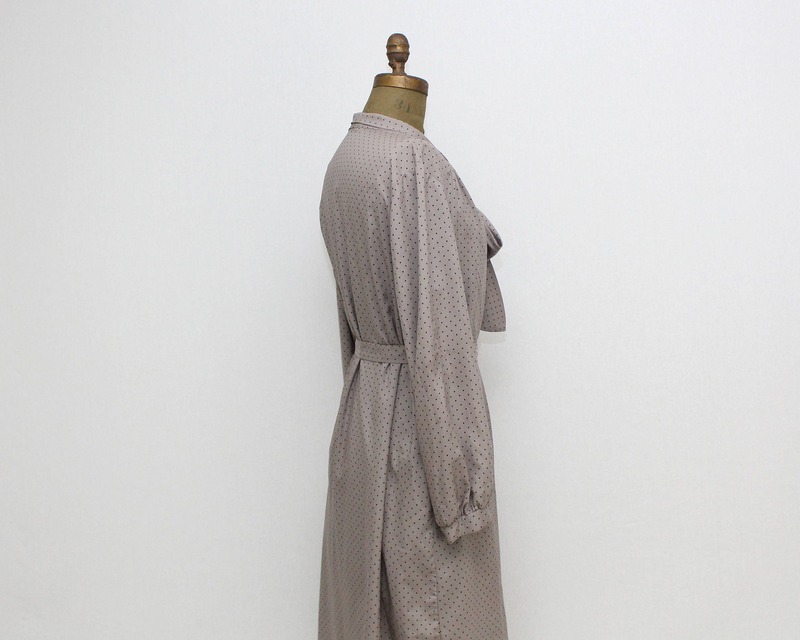 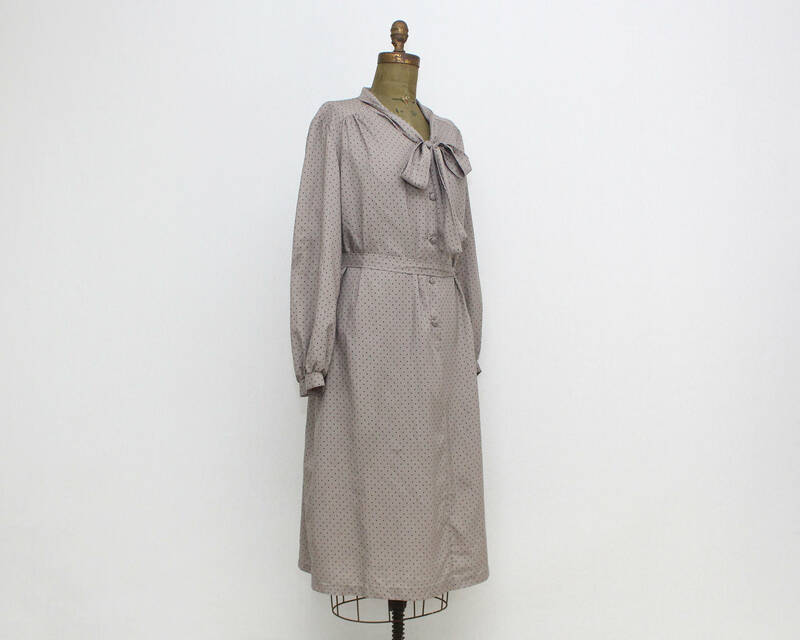 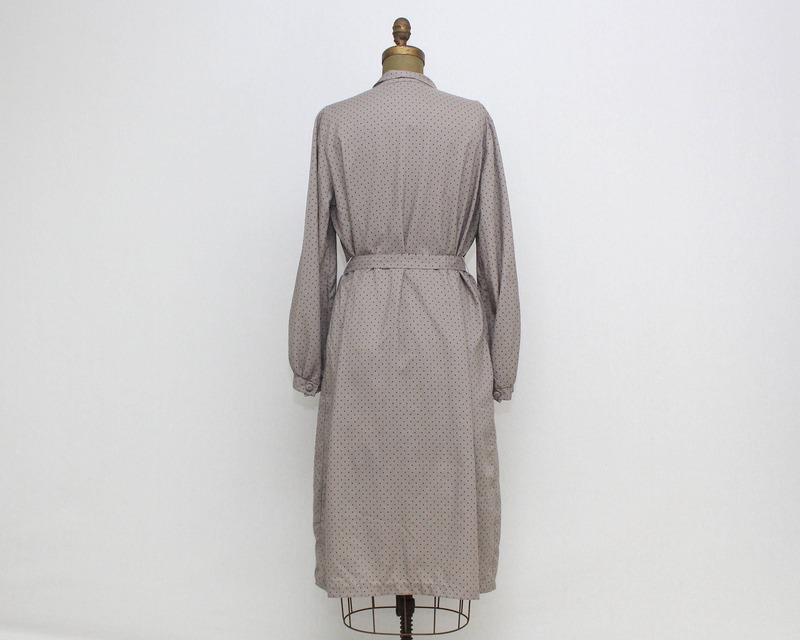 A sweet little polka dot dress in a taupe/grey color with black micro dots. 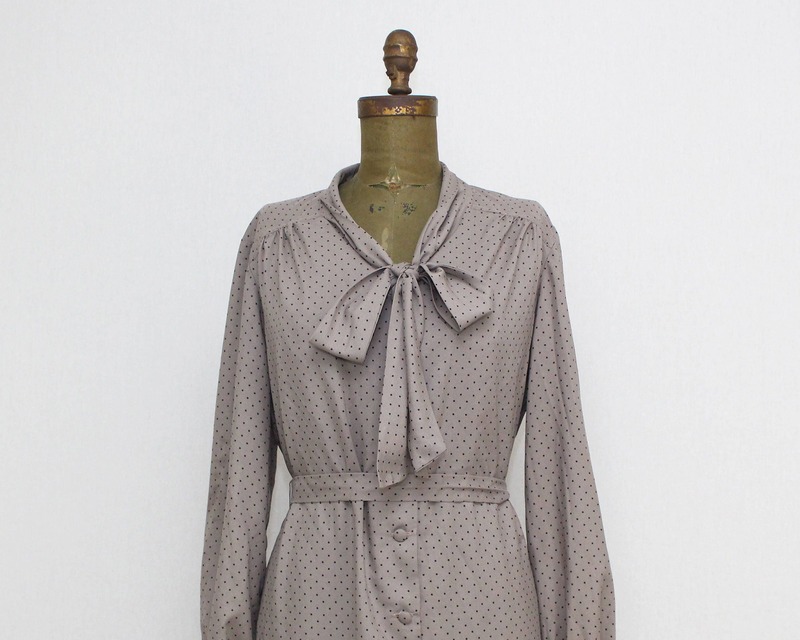 Ties at the neck for a sweet kitten bow, and buttons down the front to the skirt, belted at the waist with a sash bow. 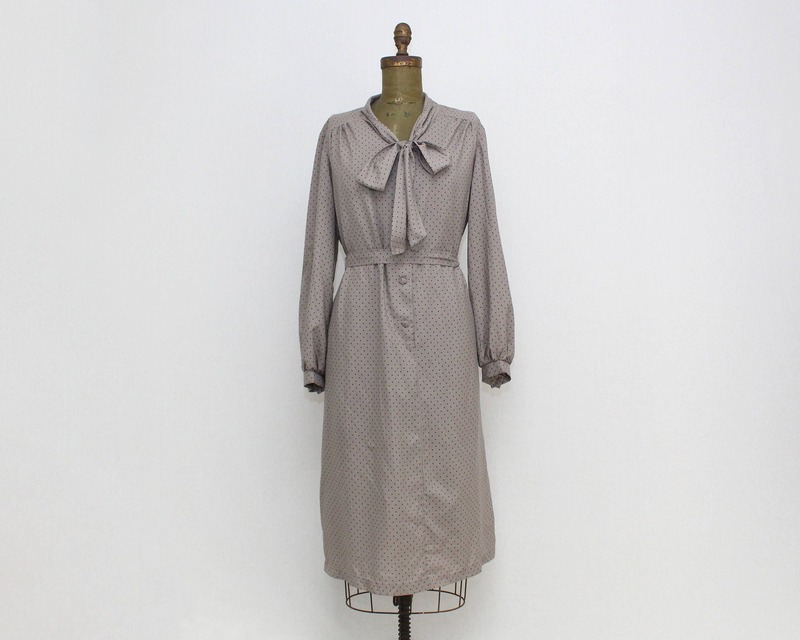 Meant to be somewhat loose fitting, and would look great belted or not, depending on the style you want to achieve.